EC-1, Carrying Case holds up to 12 Plug-In Elements and is unbreakable, watertight, airtight and dust proof. 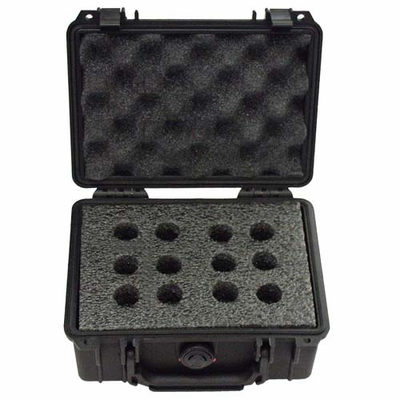 The interior is a high density custom foam insert and the high impact case is equipped with durable ABS latches. The case also includes an automatic purge valve for quick equalization after changes in atmospheric pressure.